Relax and unwind with gorgeous ocean views when you stay in a Two Bedroom Apartment quad share. Spacious and with all the modern comforts you’ve come to expect, you’ll love staying at Hilton Noumea La Promenade Residences. We’ll get you to and from your holiday with no troubles—all you need to do is pack your bag and make your way to the airport. Enjoy return economy flights with Air Calin including 23kg checked baggage. Nothing says luxury like a free room upgrade. Live like a VIP and enjoy a little extra with us. Spread out more and enjoy the extra space. Experience Escapade Island – white sand, turquoise waters and perfect days. Slip on a snorkel and make a splash, or spend hours lazing by the pool with a drink in hand. Discovering more of New Caledonia is easy with return boat transfers from Port Moselle to Escapade on us once during your stay. Nothing says spoiled quite like a bottle of wine and a cheese platter on arrival. 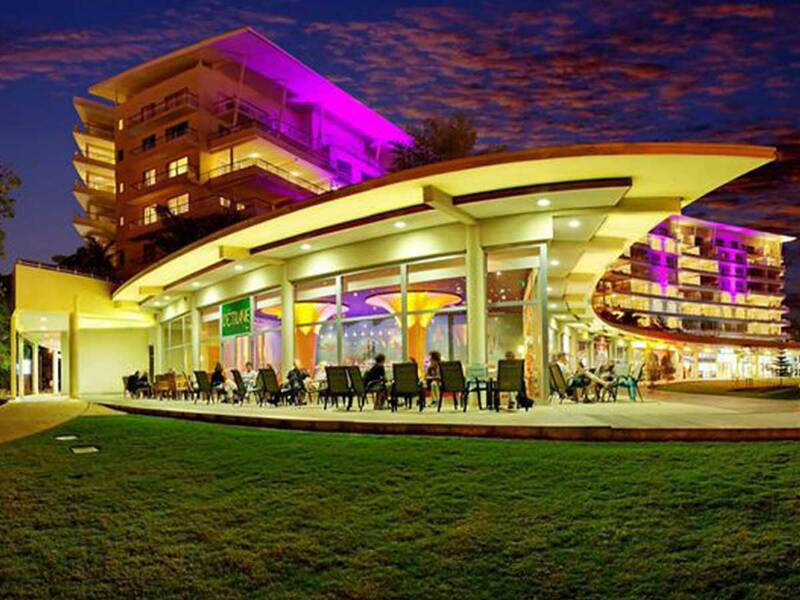 Munch, sip and slip into holiday mode when you arrive at Hilton Noumea La Promenade Residences. Feast and save with 15% off when you take your lunch and dinner at La Terrasse. 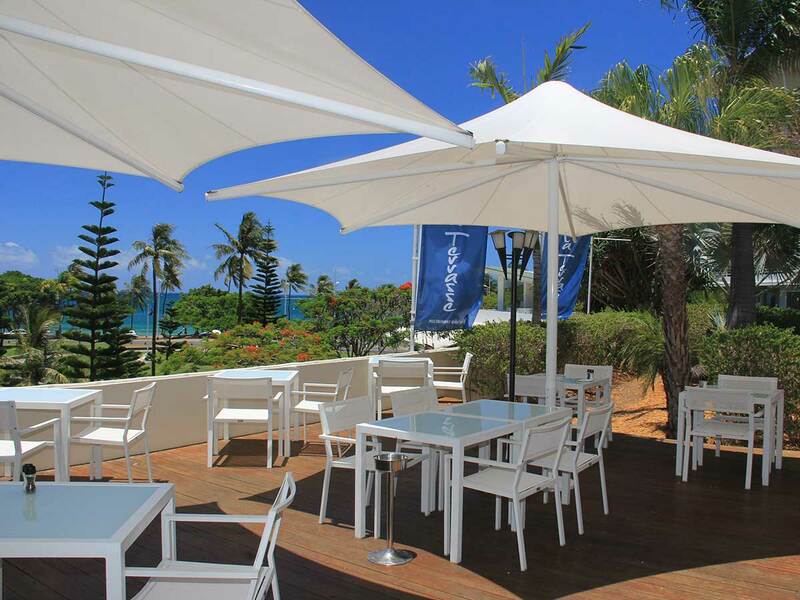 Get more out of your holiday in New Caledonia and save each time you dine at La Terrasse. Add a little more relaxation to your holiday and enjoy 15% off all treatments at Oxalis Wellbeing Centre. 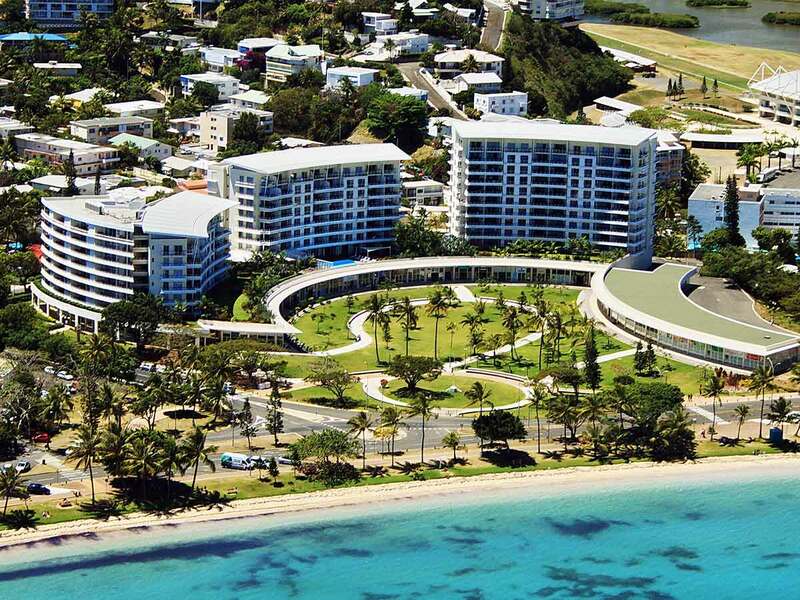 We’ve made spoiling yourself easy when you stay at Hilton Noumea La Promenade Residences. 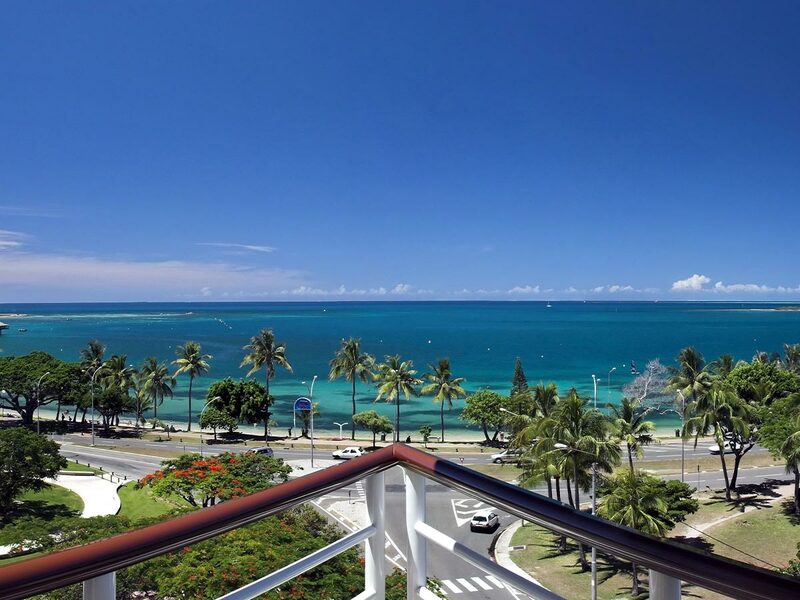 Located in the heart of Nouméa, the Hilton Noumea La Promenade Residences offers an idyllic oasis with its beautifully-appointed apartments. Those visiting Nouméa for the first time are in for a treat as this unique piece of the South Pacific archipelago boasts heart-stopping beaches and lagoons lined with palm trees. The Grande-Terre island, known as the top New Caledonia diving destination, is about 210-kilometres away from Hilton Noumea. This 4-star property is also 50.4-kilometres away from La Tontouta International Airport. 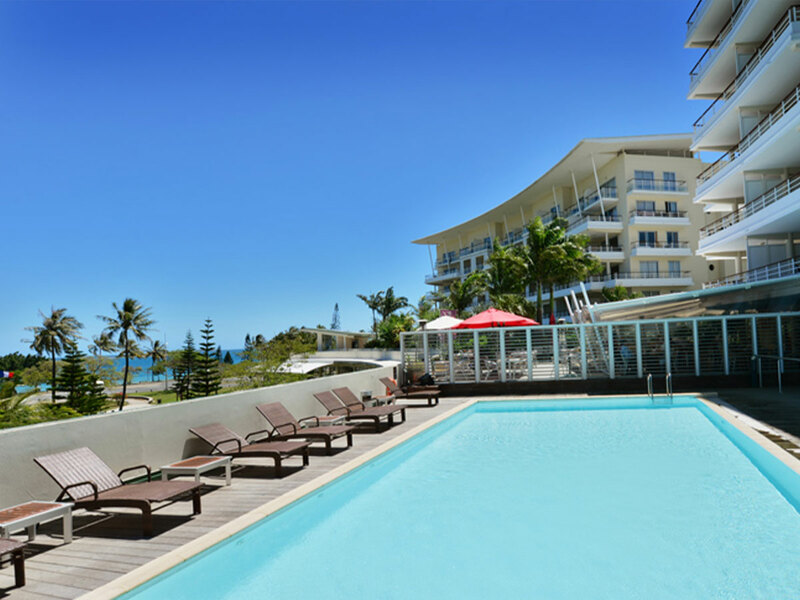 At Hilton Noumea La Promenade Residences, guests can ease their mind and spirit in the outdoor lap pool or keep themselves in top shape by visiting the on-site fitness centre. Dining options include the L’Equilibre and L’Escapade restaurants, both of which offer scrumptious dishes made from the freshest local produce. From hearty brunches to pre-dinner drinks, Hilton Noumea has your cravings covered. 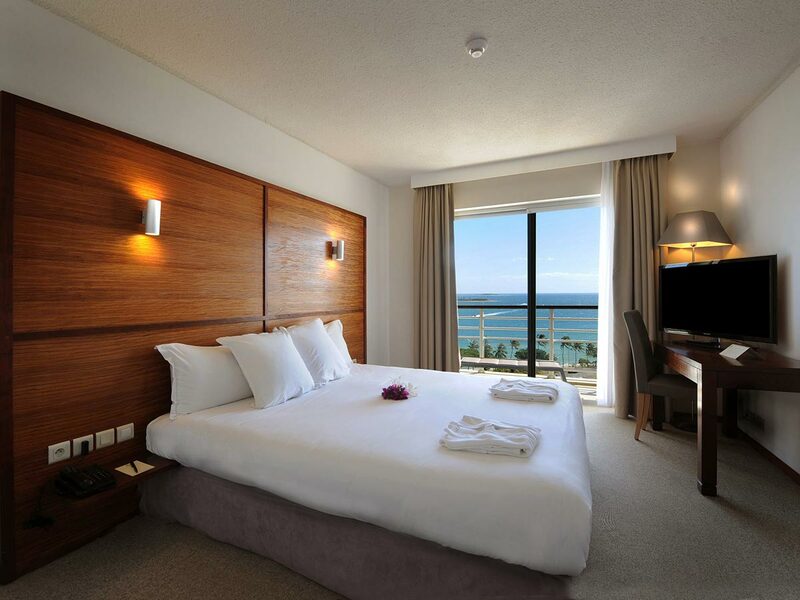 For luxurious New Caledonia family holidays or honeymoons, consider staying at Hilton Noumea La Promenade Residences. State-of-the-art and self-contained accommodation with personalised amenities, such as full kitchenette and living space, await guests. 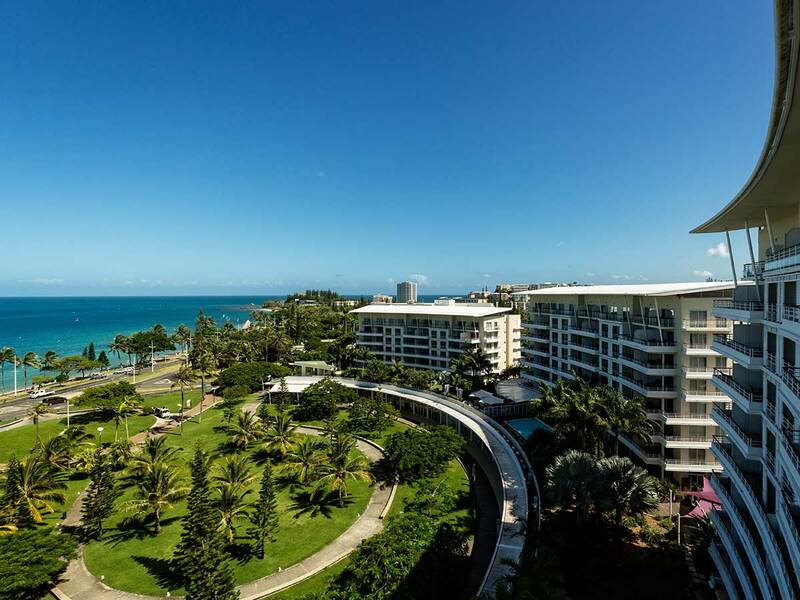 Hilton Noumea is also within walking distance of many restaurants, entertainment hubs and the sprawling Anse Vata Beach. Single supplement available from $1145 based on Ex Brisbane in a Two Bedroom Apartment. 9 Months interest free available from $102.47 per week for four people ex Brisbane. **Flights from Adelaide & Perth will be via Sydney (Please Note: Travelling from Perth will be a sector fare to Sydney, you will need to pick your luggage up in Sydney and check-in for your International flight). Flights are Subject to promotional economy fare availability, Flights may not be direct or operate daily. Air surcharges apply during Australian school holidays.